You are here: Home>FAQ>Flexible Hose And Ducting Have Cuff Ends For Easier Clamping. 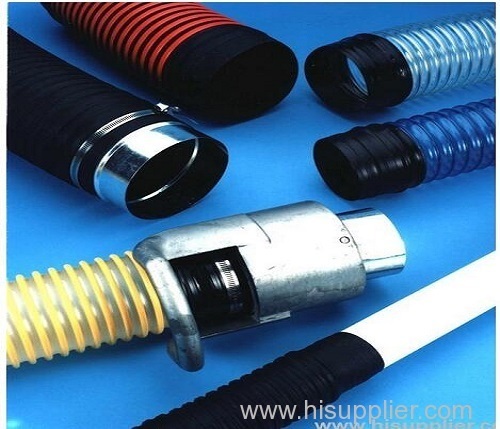 Flexible Hose Cuffed Ends have smooth, elasticized finish and are molecularly bonded without adhesives to provide smooth clamping surface. Eliminating wire helix interference for tighter seal, finished cuff ends install over fittings and can be made from same material as hose or ducting. 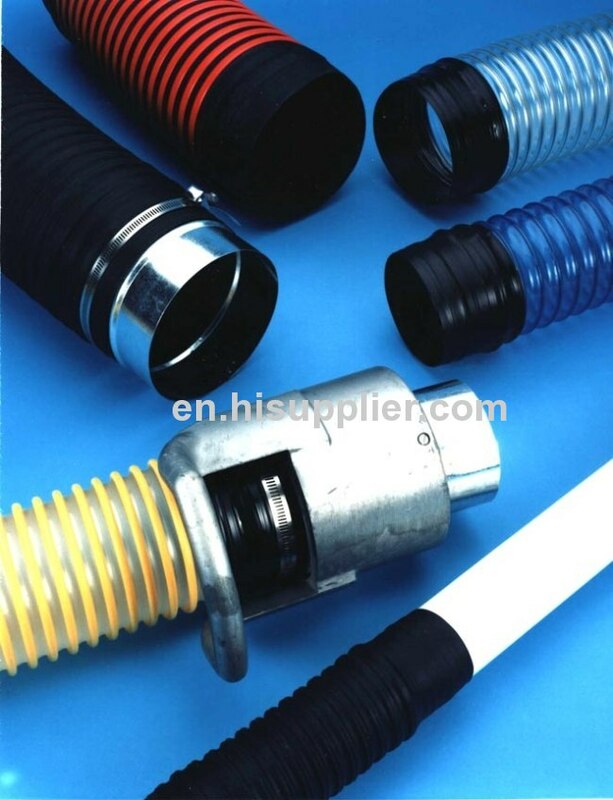 Available for urethane, thermoplastic rubber, and TPR coated fabric hose and ducting, ends can be bonded to hose and ducting from 2-12 in. dia.